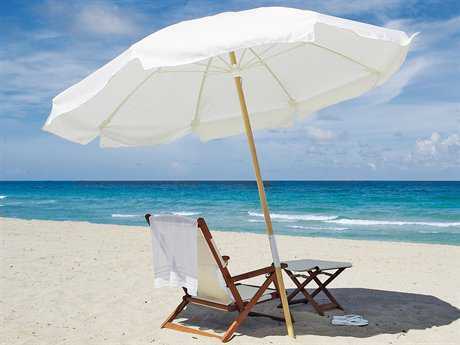 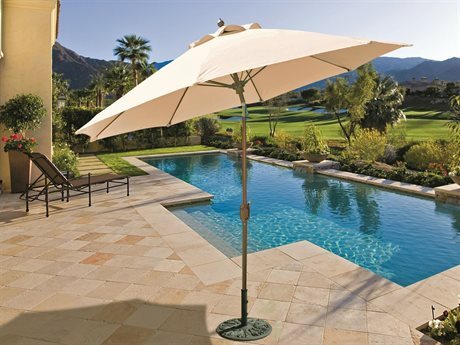 Outdoor umbrellas provide much-needed protection from the natural elements, from sun, to wind, to rain. 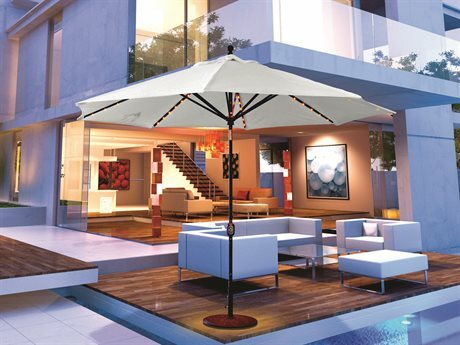 Through providing overhead comfort, a patio style umbrella makes any outdoor space more relaxing and tranquil, be it a cantilevered pool umbrella over a pool side lounge set or a picnic table umbrella making your meals more enjoyable. 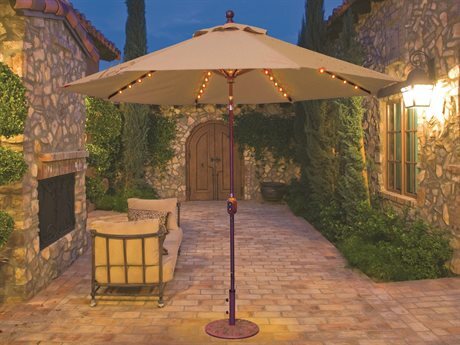 Outdoor patio umbrellas can also make a stunning decorative addition to any patio living set, with options available in various patterns, finishes, colors, and styles. 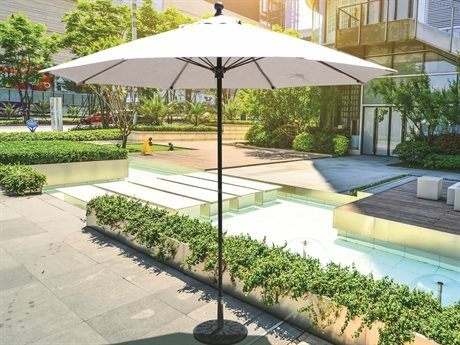 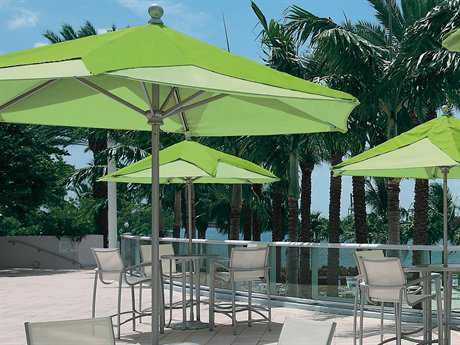 PatioLiving offers a diverse selection of market umbrellas in varying materials, styles, and sizes with options suited for every outdoor living need and aesthetic preferences. 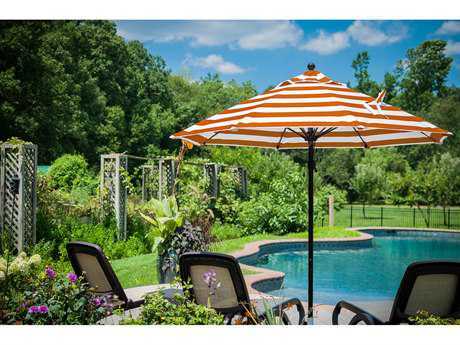 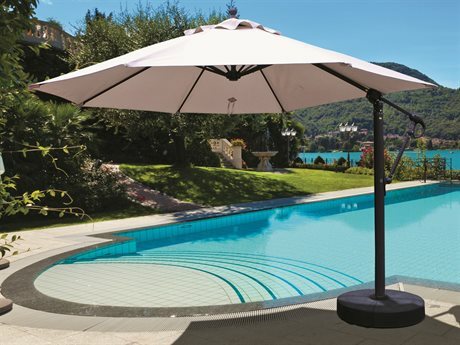 Backyard umbrella and pool umbrella frames are typically crafted from one of three principal materials: wood, fiberglass, or metals (such as aluminum or steel). 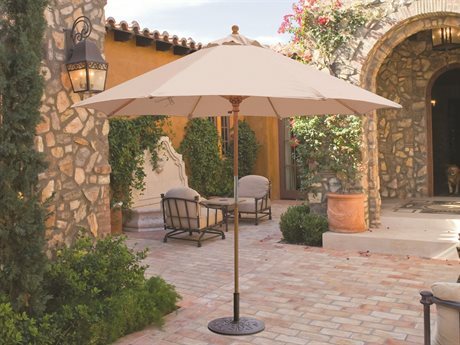 A wood patio umbrella creates an organic, classic look and is crafted from hardwoods that are naturally resistant to moisture and insects. 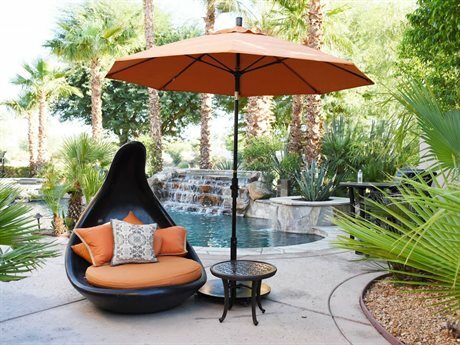 Both fiberglass and metal frames offer more versatility and options than wood frames, but may lack the rustic charm which makes wooden frames popular. 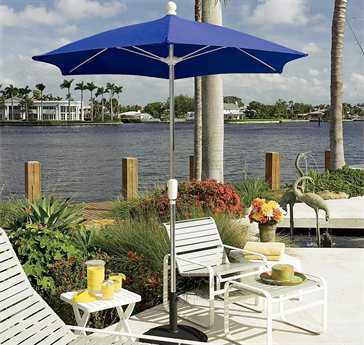 Fiberglass deck umbrellas are sturdy, lightweight, and long-lasting. 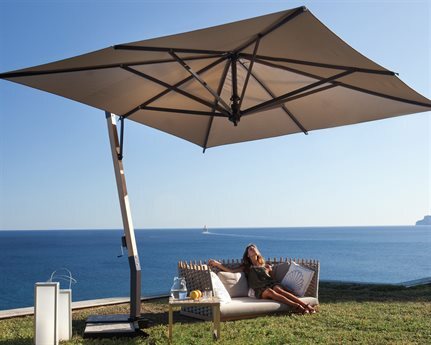 An aluminum outdoor patio umbrella is both lightweight and durable, and offers the greatest versatility and options in opening and closing mechanisms, tilting, and finishes. 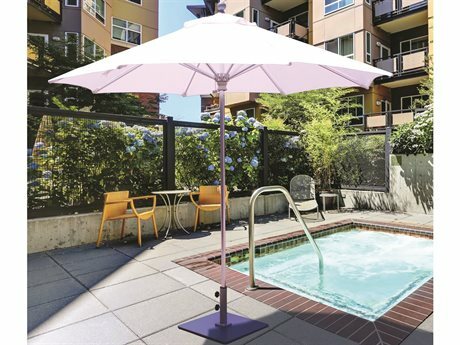 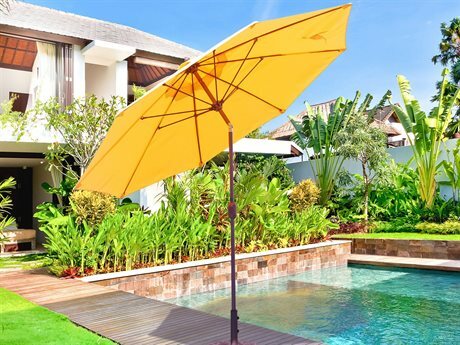 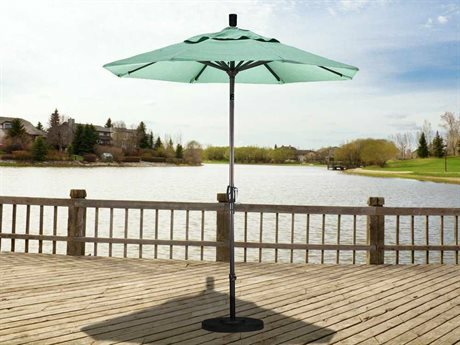 PatioLiving's umbrella come in many different color options; if you want a vibrant yellow umbrella, or a traditional black patio umbrella, PatioLiving has an option for you. 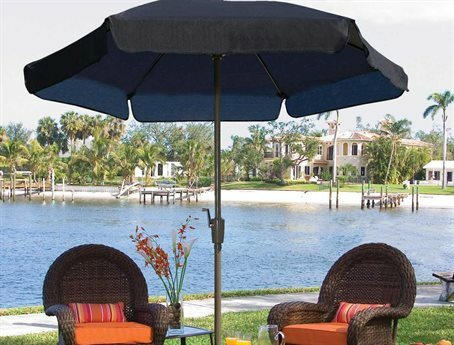 In addition to pool umbrellas and patio table umbrellas, and large patio umbrellas, PatioLiving also offers several shade sails, as an alternative method to traditional shade protection, as well as a curated selection of commercial umbrellas, and a diverse variety of bases and stands. 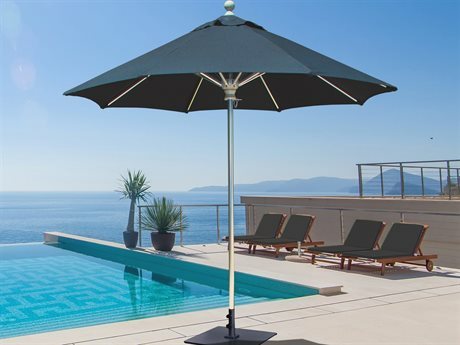 When it comes to choosing the right umbrella outdoor material for your deck umbrella, there are several factors to consider. 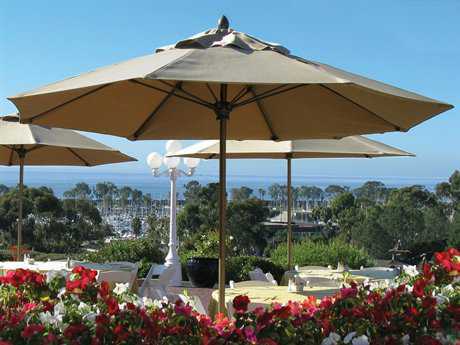 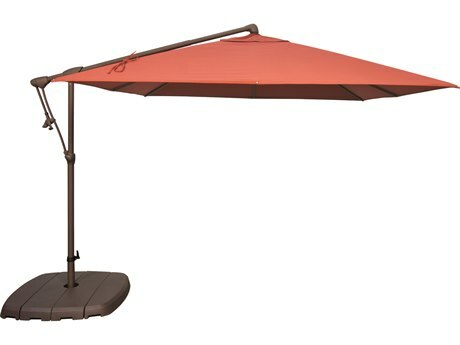 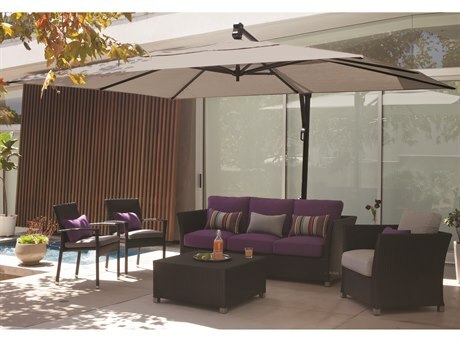 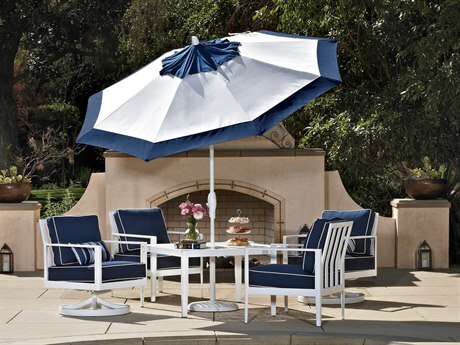 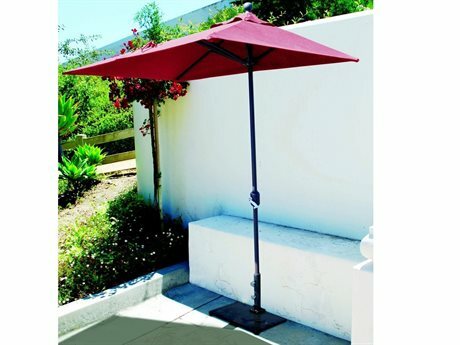 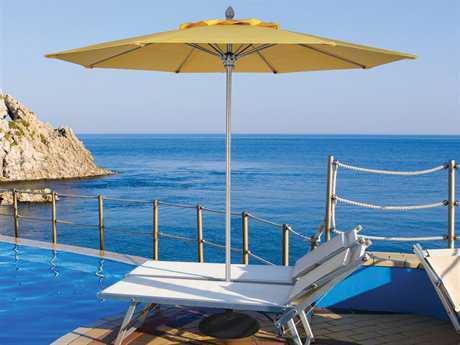 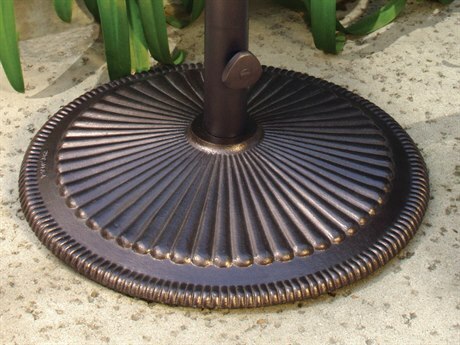 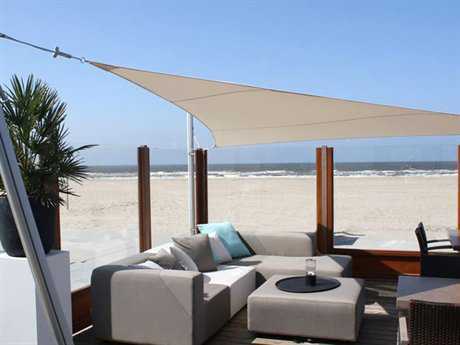 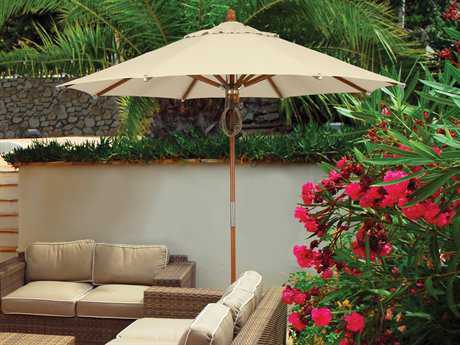 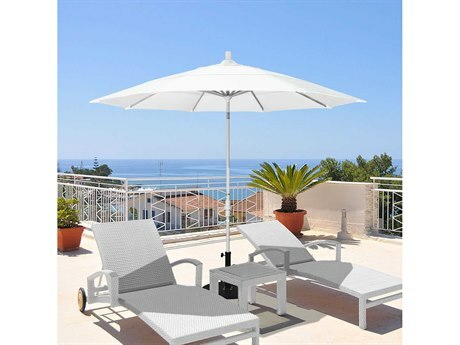 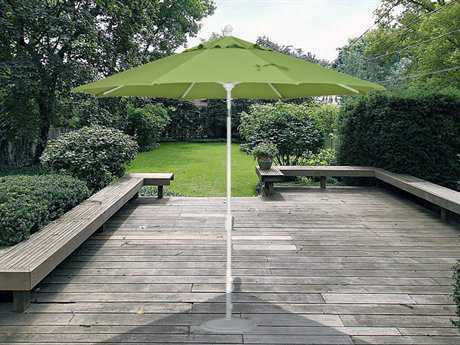 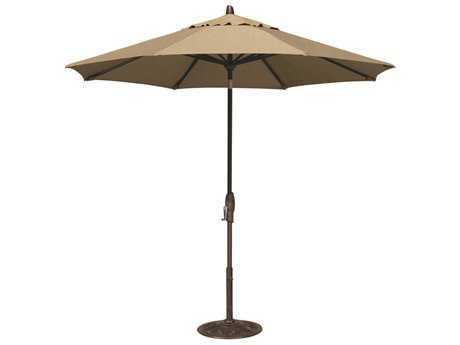 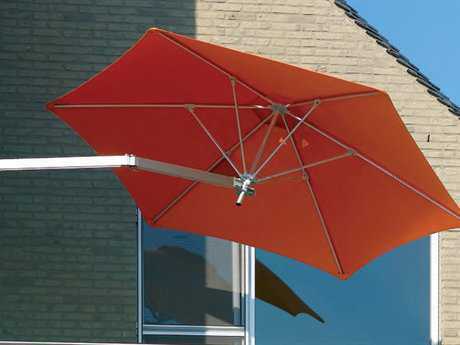 All PatioLiving patio style umbrellas on sale are designed with quality and durability in mind. 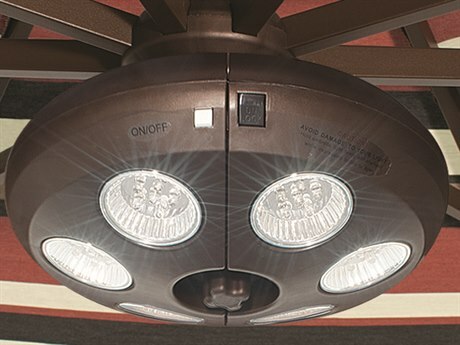 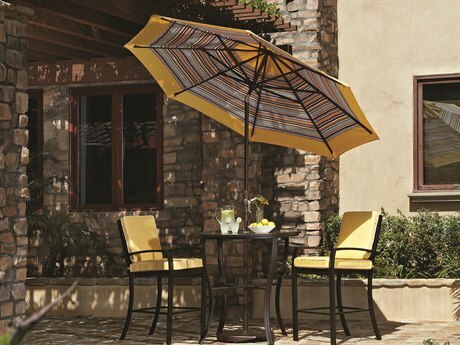 However, different grades and fabric contents will be suited for different climates and uses. 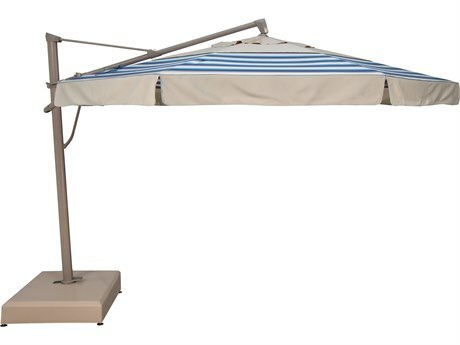 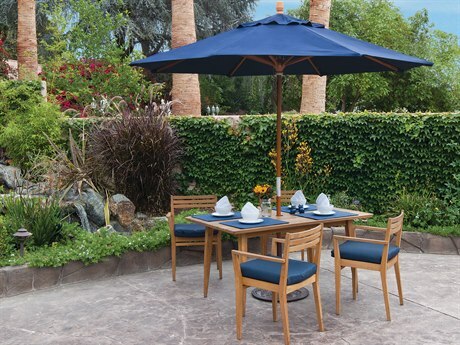 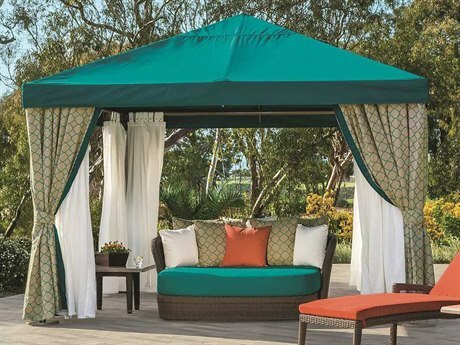 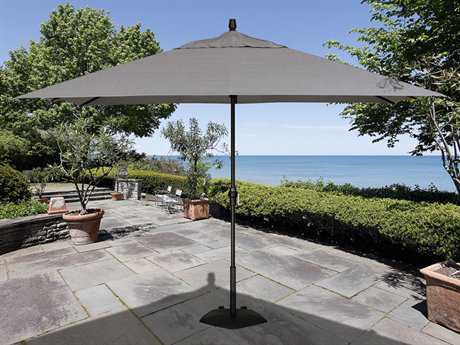 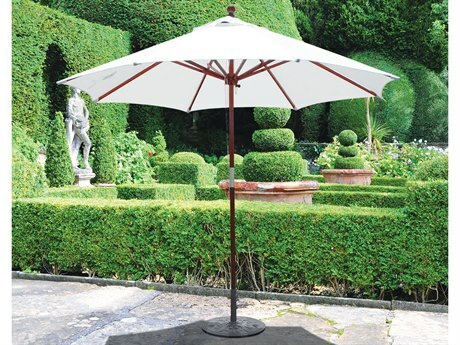 Sunbrella fabric by Glen Raven leads the garden umbrella industry for premium style and performance. 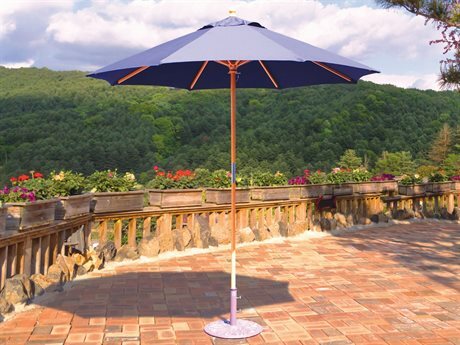 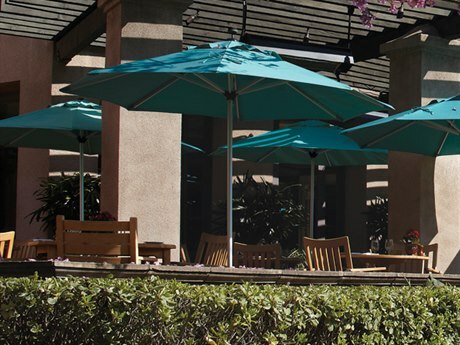 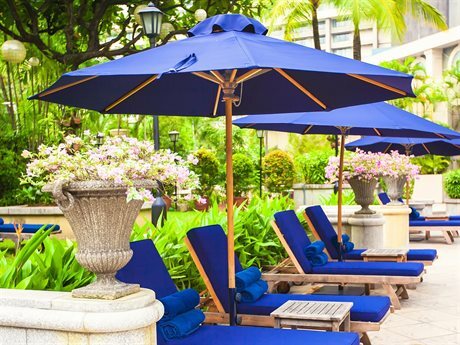 Table umbrellas crafted from Sunbrella fabrics are popular for their fade-proof durability, 98% UV sun protection, and resistance to water, rain, wind, mold and mildew. 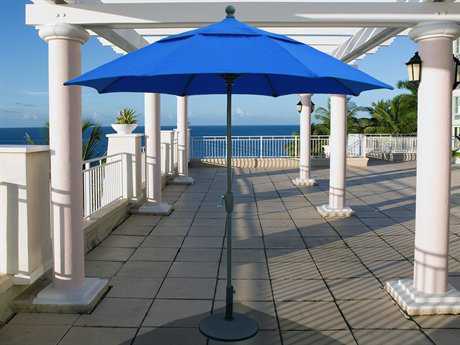 Olefin fabric outdoor umbrellas are well-priced and more fade resistant than cotton or polyester blends, making them a good median option between low-grade material umbrellas and expensive acrylic canvas. 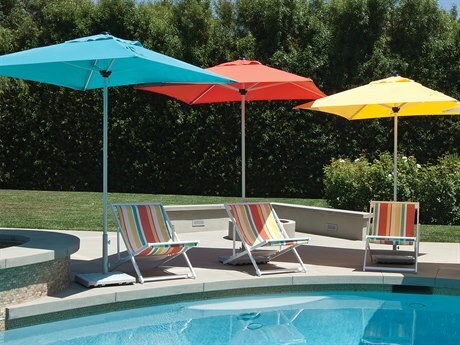 Pacifica, by California Umbrella is a performance polyester fabric, warranted for four years of fade, rot, and mildew resistance. 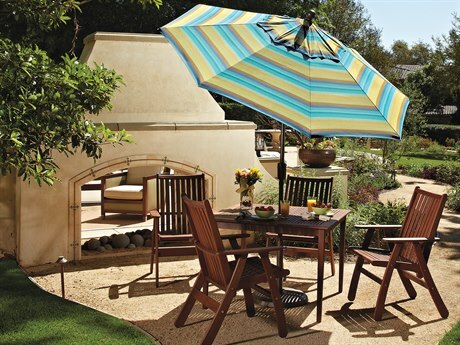 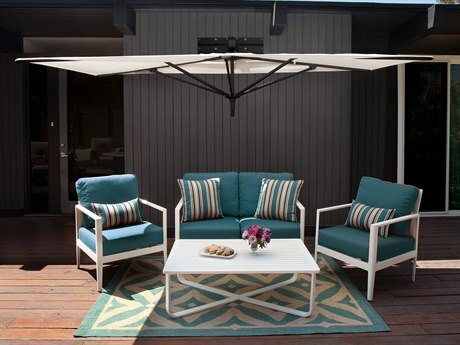 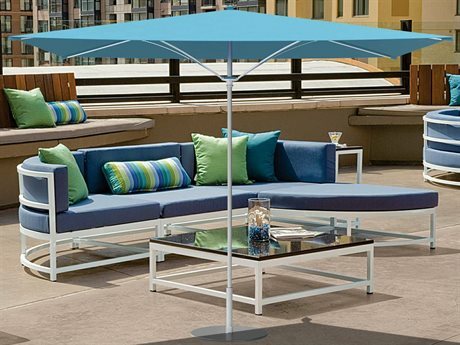 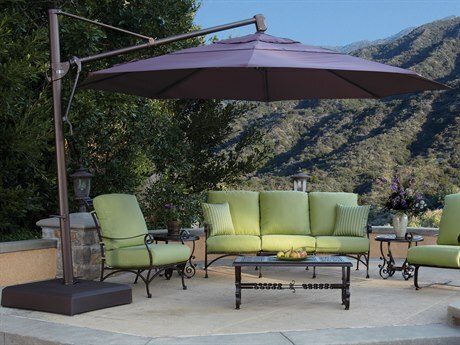 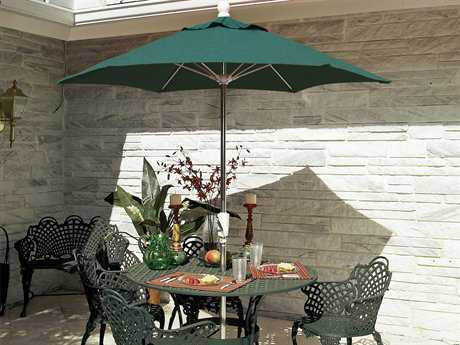 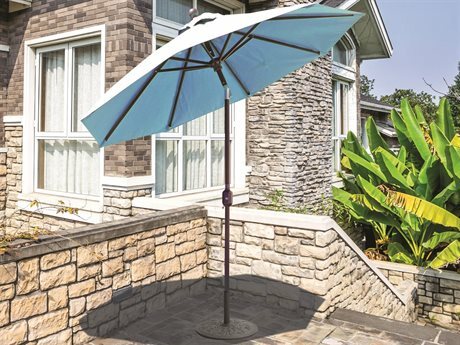 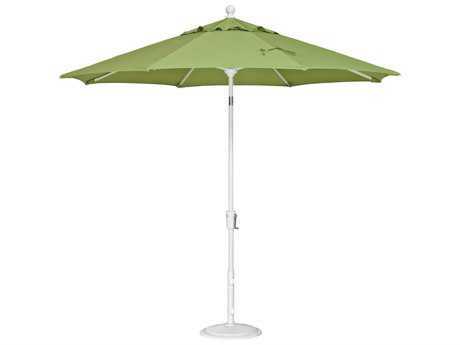 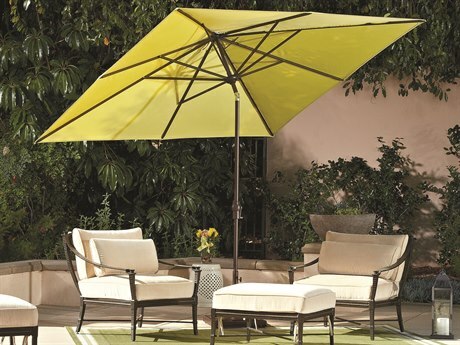 A patio style umbrella provides versatile comfort and turns any space into an outdoor oasis. 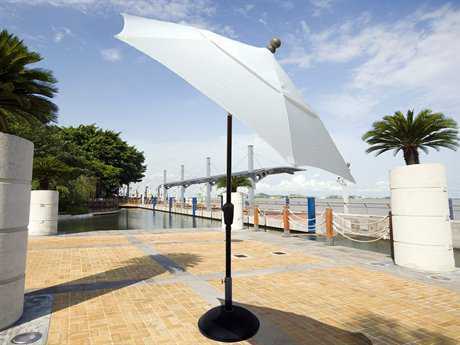 Overhead shade from an outdoor table umbrella can make a hot, sunny day more comfortable. 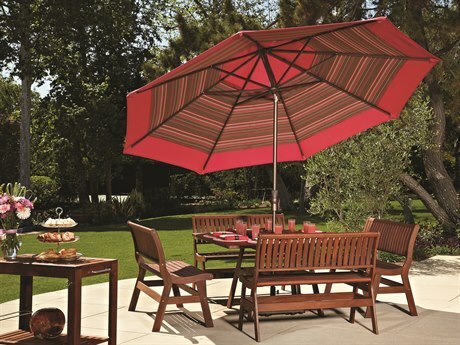 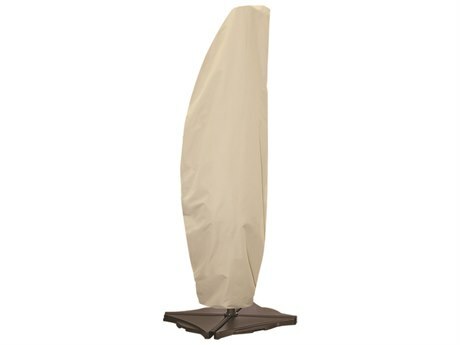 A patio table umbrella can also give protection from a rain storm or can save a family summer barbecue. 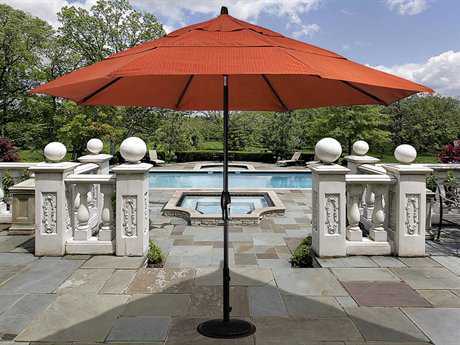 There are numerous options to consider when buying a market umbrella, from fabric, to frame material, to accessories. 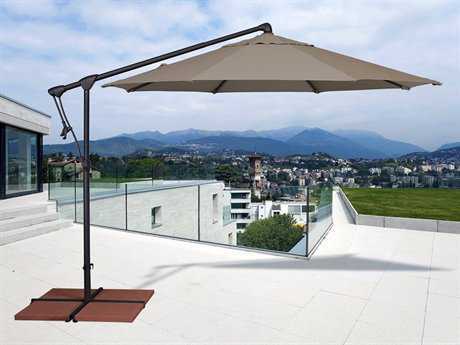 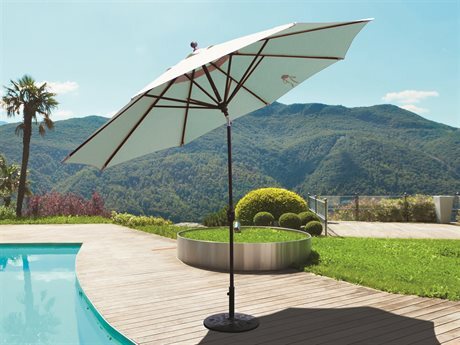 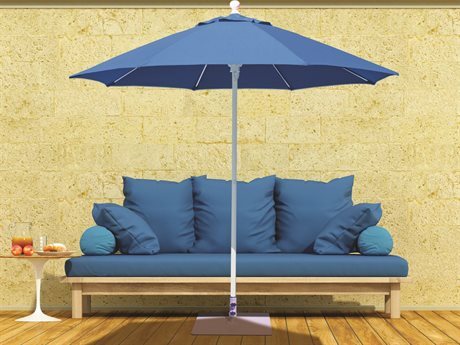 To ensure you purchase the umbrella that functions best for you and your family and get the best deal, PatioLiving always has a stocked outdoor umbrella sale section. 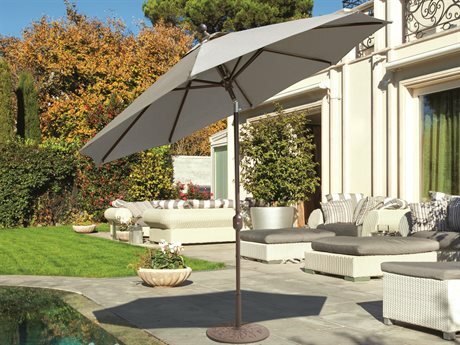 To learn more about buying a table umbrella, see our buying guide, or peruse our wide inventory of umbrellas for your patio by frame material or accessory category to select the best umbrella for your use.